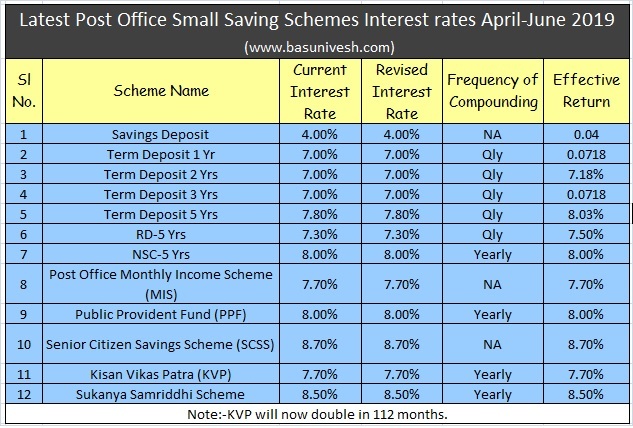 What is the applicable latest Post Office Small Saving Schemes Interest rates April to June 2019? The central government announced the interest rate for PPF, Sukanya Samriddhi, NSC, KVP Interest Rates April to June 2019. Let us see the changes applicable with effective from 1st April 2019. Earlier the interest rates used to be announced on yearly once.